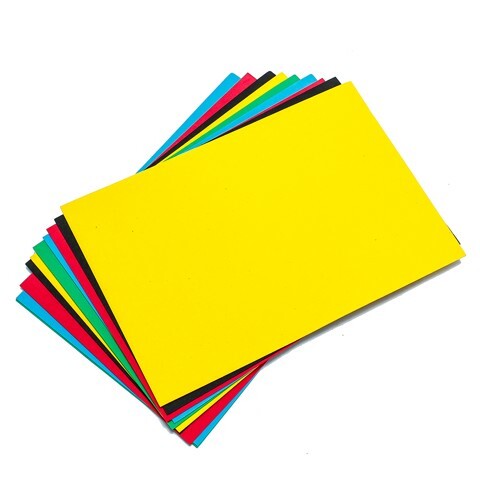 Foam Sheet Plain Colour 10Sh. 20 x 30cm. 5 Colours per Pack: Black | Light Blue | Light Green | Red | Yellow. EVA Foam. 0 Packaging: OPP Bag with Colour Insert.